Even though the stock markets have recovered nicely from the turmoil of 2008, many people are struggling and have not benefited fully from the recovery. During the height of the Great Recession, nearly 700,000 Americans lost their jobs each month. According to the Hamilton Project, a study of full-time workers who lost their jobs between October 2008 and April 2009, found that 2 years later the average earnings of this group declined by nearly 48%. Job loss and underemployment are the leading causes of financial problems and can have long lasting consequences. It is always best to be prepared by having an adequate emergency fund but long-term unemployment can quickly eat through any savings account. Budgets are great tools to track and manage spending but in order to work it takes discipline and commitment. Here are five reasons why a budget may not be working for you and more importantly what you can do about it. Creating a budget is relatively easy, it's sticking to the budget that can be difficult especially for families. If you are serious about reigning in spending then you have to realistic and create a budget that you can live with. Are you really going to be able to stop dining out for the next 3 years? Why set yourself up for failure when it is probably more realistic to reduce the amount of times you dine out rather than eliminating something you enjoy totally? Another reason a budget may not be realistic is that you don't have a clear picture of what your normal spending patterns are. Guessing at how much you are spending usually leads to underestimating your expenses and you guessed it, an unrealistic budget! Solution: Track spending over time to get an accurate picture of spending habits. Start with smaller reductions in spending rather than eliminating expenses. As you build success, increase the reduction to a comfortable level. Solution: Have monthly budget meetings with honest and open discussion centered around building consensus for following the budget. Ask family members for their input to any issues related to the budget, put suggestions into action, and revisit the following month. An option for children 15 and older may be to get a job and require them to fund a portion of their own spending. Attend a money management workshop with your spouse or significant other and commit to working together to reduce spending. As a last resort it may be necessary to maintain separate household accounts in order to ensure that the family bills are taken care of in a timely manner. If you already have a budget but are struggling to stick with it you may want to look closer at what goes into your spending decisions. In the Journal of Consumer Psychology, researchers found that consumers have a limited supply of willpower and once “used up”, are more likely to make self-indulgent or impulsive purchases. Solution: Instead of beating yourself up recognize that you have limits and look for ways to remove temptation when making spending decisions. Bring a shopping list and don't buy it if it's not on the list. Use cash if you think you might be tempted to purchase more than the budget allows. If you have kids, have them set aside a portion of their allowance or gifts to use as spending money and encourage them to use this money to make purchases rather than rely on you all the time. Lastly if you don't have the education or skills to advance in the workplace odds are pretty good that you will continue to struggle with budgeting and making ends meet. In todays economy it is crucial to stay informed in trends in your field of occupation and be proactive in planning for the skills you will need down the road. Most major companies are fairly good at employee development as they understand the value of a workforce that has the skills necessary to stay competitive. Smaller companies often don't have the expertise or resources to provide employees the necessary skills and training, so much of the responsibility falls on the employee. Solution: It is a good idea to bring up the topic of employee development with your supervisor during yearly evaluations and request that training be provided so that you are current with the latest skills in your field. Take advantage of employer sponsored tuition reimbursement programs to obtain relevant training or education. If you work for a smaller business that doesn't offer training or tuition reimbursement, subscribe to a professional journal to stay informed on what skills may be required in the future and start planning how you will acquire those skills. Volunteer for projects that will provide opportunities to learn and use new skills at work. If you find yourself furloughed or unemployed, take advantage of job training programs that may be available to you. Budgeting can be a very useful strategy for managing spending however, a budget needs to be flexible enough to meet the goals and needs of both individuals and your family. 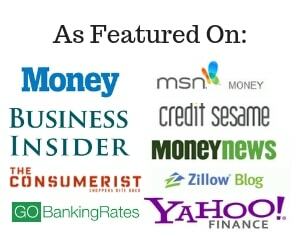 Want to be more successful with your budget? Recognize why you may not be getting the results you desire and take action to remove those barriers. Readers: Have you ever struggled with budgeting? What were the reasons? Were you able to overcome difficulties with budgeting? Other in house not committed to budget! This is totally happening! Can’t agree with you more Chris! 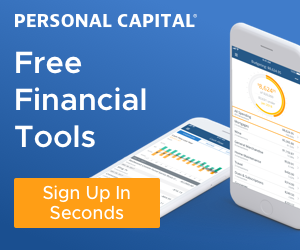 There really is no ideal budget, just the budget that helps you reach your financial goals. Great point Sydney! You can only do so much with a budget, income will ultimately dictate what you can and can not afford. Totally right! Budgeting is just plan hard when you don’t have a lot of money. Maintaining the discipline can be easy for the first bit, but it just gets hard after awhile… budget fatigue. I’ve had to loosen up ‘the ideal budget’ and adjust it to something I can actually maintain for the long haul. The best budget you can have… is the one that you’ll actually follow. I struggled with budgeting when I was in my early 20s. It was hard to stick to a tight budget on a small income. But I didn’t have any giant expenses either and managed to keep my debt in control which was good. Fortunately I love to save so I don’t really have any troubles with budgeting now. I can really related to what you said about willpower. I tend to make worse decisions towards the end of the day when I’m tired. A good tip would be to handle your money decisions in the morning after being well rested. I think we all do Jayson. Until you establish predictable spending patterns it is difficult to come up with a budget that will accurate reflect your spending. It’s a process that changes as you go through life and it’s important that you monitor and adjust your budget so that it remains a useful tool to manage spending. Glad to hear you liked it Alexis! 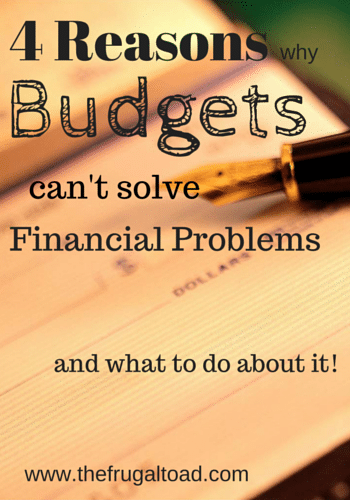 Amazing post about these 4 Reasons a Budget May Not Solve Your Financial Problems. It’s really a great help. Thanks for sharing. God Bless. I am guilty of number 1. I started with a very unrealistic budget, but I think it’s fine to have such because based on experience it helped realize my real budget and adopt to my spending habits, although in a form of trial and error.